The Australian mining industry has been adversely affected in recent years as demand for raw materials in China, our major exporting destination, has fallen away. Individual operations across the supply chain have faced added fiscal pressures, making it vital to protect assets and keep expenses down where ever possible. One of the biggest costs incurred by mining companies and processing plants is maintaining and servicing of machinery. A study by researchers at the Australasian Institute of Mining and Metallurgy and the University of Wollongong found that 30 to 50 per cent of an operation's total annual operating expenditure is related to looking after and repairing extractive equipment. Many companies have realised that this is an area where savings can be made. 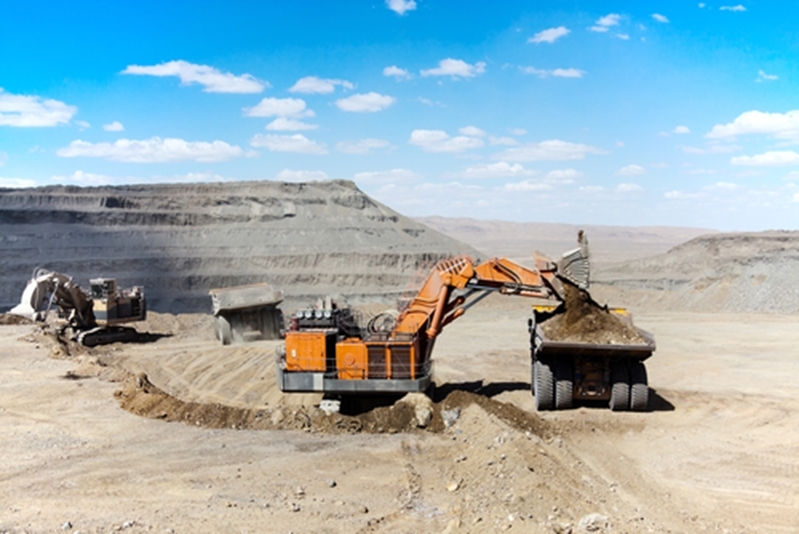 By detecting tramp metal in mining material before it is processed, damage to equipment such as ore crushers, rollers and shredders can be prevented – something that could mean the difference between a business remaining profitable and not. Tramp metal detection will not only protect your equipment, but your workers as well. In addition to weeding out small, foreign objects in mining materials before being processed, tramp metal detection can be used at mining sites to identify scraps, parts of broken machinery and other hard objects residing in the earth. The type of system needed will vary depending on the site and the type the material being examined. Tramp metal detection technology can also improve the safety of the working environment. A few years ago, the Department of Mines in Western Australia reported a case where an employee was nearly impaled by a flying piece of steel flung by a jaw crusher. The projectile narrowly missed the operator but seriously damaged the crusher's control cabin. A subsequent investigation revealed the metal piece was a ripper boot from a large bulldozer. A high quality tramp metal detection system will therefore not only protect your equipment, but your workers as well. When it comes to tramp metal detection, there is no one-size-fits-all solution. When it comes to tramp metal detection, there is no one-size-fits-all solution. Rather, a range of technologies are available that can be customised to suit the unique requirements of a specific operation. SRO Technology has developed various solutions that can be used to identify foreign objects prior to entering processing equipment. Our team will visit a site to understand its work flows, and then design and install customised tramp metal detector that meet its needs. The services we provide enable us to install customised detection technology that can work with any type of conveyor system. There is no need to change your existing processes – will will design and implement a product that seamlessly integrates with your operations. Following the design and installation, we continue to offer support to our customers – including instrumentation repairs in the unlikely event one of our detectors experiences any problems. SRO Technology provides customised tramp metal detection solutions for mining as well as a range of other industries. With more than 25 years of experience in this field, we have applied our expertise in a variety of sectors throughout Australia, Oceania and Asia. In addition to mining and raw commodities sector (e.g. coal, copper, gold and iron ore), our tramp metal detection solutions have been installed in food, rubber, plastic, sugar cane and timber production facilities, and recycling plants. The variety of sectors that SRO has worked in is a testament to our ability to provide accurate, reliable and robust applications to our customers. To find out more about our tramp metal detection systems, please contact the SRO Technology team today.